Welcome back! Oh no, sorry, it’s us that has been gone. I must say, I’ve been amazed by the riots of last week – how quickly the thin veneer of civilisation can be stripped away, to be replaced with outright thuggery in a single night. It seems that everyone is affected. At first it just seemed like another weekend bit of bother, the kind of thing that happens sporadically on hot summer nights in Britain, where they live in stuffy little houses or Council estates, and periodically set wheelie bins on fire. 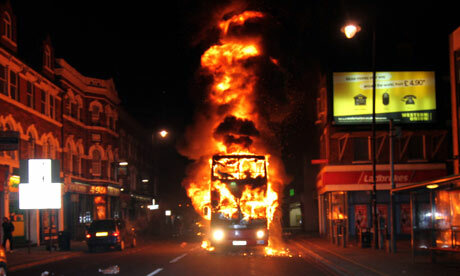 But then it boiled over into something much nastier – not just the wholescale burning of police cars, buses (a bus? good grief I thought, that’s a bit extreme), but then houses, a carpet showroom, and then an entire Sony DVD storehouse. What the heck has got into these feral Poms? “There is no point in doubling or adding another 10,000 Police to the control of the situation if this simply doubles or trebles the number of Police simply spectating!! If there is a solution that the riff-raff understand it is retaliation!!! Get stuck in, chase them off the streets spray them with luminous paint for ease of identification later, cancel all public transport after say 6-30pm and let the dogs loose after not having been fed!!!! “Suggested action: It should be a criminal offence to cover your face or disguise your facial feature without legitimate cause. Yeah, cos that banning of face coverings is working really well in France and Belgium now, isn’t it? 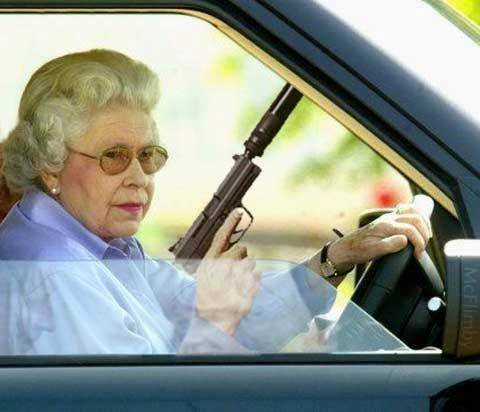 “It astonishes me how such anarchy when police have firearms. Ever wonder why countries with far more inequality dont have such problems? (Think China). 2) Give police the right to detain/tazer/pepperspray anyone with a covered face during an emergency. 3) Arm police with video cameras and shotguns. 4) Actively encourage / financially reward police officers for their KILLS during the emergency period. Any violent rioter caught on tape is fair game for a bullet in the head. Kill a rioter about to throw a molotov? $500 bonus for the officer. Town saves heaps more as there’s no fire threat. 53 dead, 2000 injured, $1 billion lost? So perhaps, just perhaps, meeting violence with violence was not such a good idea? Oh god, that sounds pretty wet. You’re losing me there Russell. They’re burning down buildings there! “This is just understandable confusion over the rules of how many houses you are meant to have as an MP. This doesn’t show the naked greed of people stealing plasma tellies. Unless you’re Gerald Kaufman, who broke parliamentary rules to get £8,000 worth of 40-inch, flat screen, Bang and Olufsen TV out of the taxpayer. Or Ed Vaizey, who got £2,000 in antique furniture ‘delivered to the wrong address’. Which is fortunate, because had that been the address they were intended for, that would have been fraud…… Fortunately, we have the Met Police to look after us. We’ll ignore the fact that two of its senior officers have had to resign in the last six weeks amid suspicions of widespread corruption within the force….. There are parts of society that are not just broken, they are sick. Riddled with disease from top to bottom. Just let me be clear about this (It’s a good phrase, Mr and Mrs Cameron, and one I looted from every sentence your son utters, just as he looted it from Tony Blair), I am not justifying or minimising in any way what has been done by the looters over the last few nights. What I am doing, however, is expressing shock and dismay that your son and his friends feel themselves in any way to be guardians of morality in this country. The real question we need to ask here in good old New Zillun (that nice Mr John Key calls it that, so it must be right), is whether anything like that could ever happen here. Well, duhhh, yes, of course it could. While we would all like to think that our dis-affected youth are nowhere near as badly behaved, or mistreated, the results from the last week of the British disease show that that tiny veneer of civilisation is thinner than we think. It can, and does crack. Hard to concentrate on riots when all around is snow. You’re right – you really don’t get people rioting in mid-winter, do you? Are you saying that Duggan wasn’t a crack dealer and gang member, it wasn’t his firearm recovered from the scene, and the police didn’t really have any reason to attempt to arrest him? Oh, and four people died… one beaten to death in Ealing and three run down in Birmingham. They weren’t shot, but I suspect they don’t care about the distinction. No, I really do mean that no one was shot – and while not belittling the deaths of the 3 men run down, it is absolutely amazing that no one was shot. If the police had used bullets instead of riot shields, how many would have died? If the rioters had had guns with them on their rampage, how many more innocent people would have died? 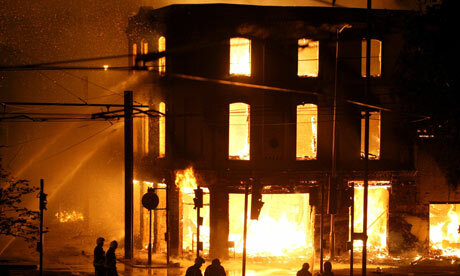 If the general population owning the shops and houses burnt out, had also had access to guns to protect their property, how many of the rioters would have been killed? I included the reference to the LA Riots as a comparison – 53 dead but over 2000 injured. That’s a lot of gunfighting going on – and in the end, which result is better? Is LA now free from crime because the bad boys were killed off? I don’t think so. 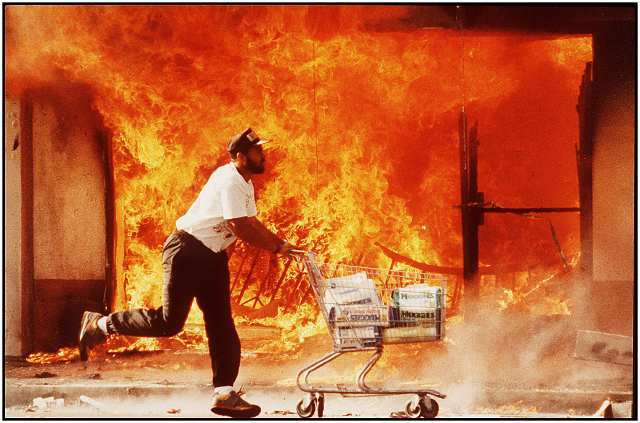 >I included the reference to the LA Riots as a comparison – 53 dead but over 2000 injured. That is only valid if the two situations were the same, with the only difference being the presence or non-presence of guns. If you’re going to compare any two random events and draw conclusions on that basis then I’ll add a third… the Rwandan genocide in 1994 where 800,000 people died in ethnic riots, most deaths didn’t involve guns, but most lives would have been saved if the victims were armed. I’m still interested in why you’ve decided that Mark Duggan was “innocent”. The only other people making that claim are his family. On a side – but related – note, you must be happy that the Harvey Norman guy has toned his voice down a bit on the TV. They’ve still got those screeching “Go, Harvey Norman. Go!” banshees at the end though. Davidp – innocent insomuch as he was shot due to suspicion of having a gun, when it turns out he did not. 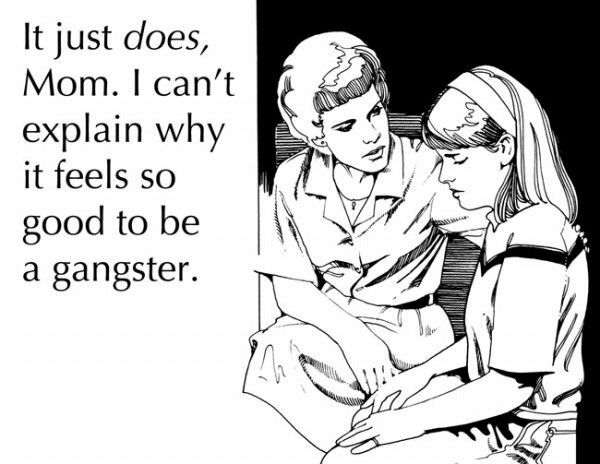 Those are the only facts I have heard – I dont know him, or anything about his gang affiliations about him. We have had a similar situation in NZ of a young man being shot dead, on suspicion of having a weapon. That it turned out to be a golf club was a sad thing. So: he was innocent of having a gun, but guilty of smashing windows and threatening police officers, which should not normally be a cause for a death sentence. I’d say that the 2 events are actually quite close. Rodney King, Mark Duigan, and the golfclub swinging guy from Waitara – not randomly connected events but very similar, of police brutality. Rwanda and Berundi is a whole different kettle of fish. Blatant fascist racism on an endemic scale. Closer to a two sided Hitler vs the Jews genocide. 1. Police brutality, as you allege. 2. He presented the gun and was shot. Contrary to some opinions, you don’t get one free shot at the police before they’re allowed to shoot at you. 3. One of the arresting officers misfired his weapon, and in the confusion others shot Duggan. Which is tough, but a risk you take when you’re the armed member of a Yardie-connected crack selling gang. The gang connections are well documented and all over the web. He is part of a violent family. His uncle may have been responsible for 27 murders before a Yardie stabbed him to death a few years ago. And his cousin was killed with a broken bottle recently. davidp – I’ll happily bow to your obviously far more thorough appraisal of the facts re Duggan’s death. Yes, he sounds bad, and is connected with some thoroughly unpleasant dudes responsible for a load of misery. I’ll totally accept your statements that he was part of a very bad family. Certainly this is a very different situation than that of Steven Wallace of Waitara – who was a former architecture student, and unconnected with any gangs. (police report on that here: http://www.police.govt.nz/resources/2000/waitara-shooting/ ). THE GRAMMAR GIRL: Millionaire’s daughter Laura Johnson, 19, was charged with stealing £5,000-worth of electronic goods, including a Toshiba TV, Goodmans TV, microwave and mobile phones. THE CHARITY WORKER: Barry Naine, 42, who works for a St Mungo’s homeless hostel in Lewisham, appeared in court charged with burglary. He is accused of breaking into Primark in Peckham and was remanded in custody. THE POSTMAN: Jeffrey Ebanks, 32, and his student nephew Jamal Ebanks, 18, were allegedly caught in a car stuffed with electrical goods near a looted Croydon superstore. The teenager, who admitted burglary, claimed he had been ‘led astray’ by his uncle. THE SCHOOLBOY: Alexander McQuarrie, 16, from Ibrox, in Glasgow, was remanded in custody over claims he attempted to incite others to riot by setting up a Facebook group entitled ‘Let’s start a riot in Glasgow’. So it comes back to the central premise of: something sets people off rioting, and we’re no different from the Poms. In most cases, we’re bred from the same ancestors. Either they have gone rabidly feral in the last few years, or it is a result of other factors – perhaps the heat, perhaps the pressures of the Tory government crackdown, perhaps it is their cramped and squalid living conditions, or, just perhaps, although I really don’t buy this, perhaps their sense of entitlement has been enlarged in parallel with the untrammelled greed of their political leaders. Which brings me back to the question of – could New Zealand have a riot like that? To me, obviously, the answer is yes. We’ve had them before – Queen St riots (allegedly incited by Dave Dobbyn) where people suddenly went running amok, smashing windows. I think we can put that one down to immaturity, hot conditions, too much alcohol. Then there is the Springbok Tour riots, where deeply held political beliefs and an intransigent government helped cause a clash in the middle of winter. 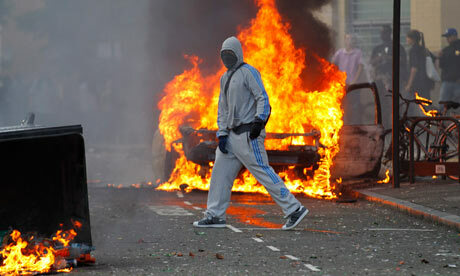 Damage to fences, to rugby pitches, and battles between rioters and police, but no looting. Cold too – in the middle of winter. And of course, way before my time, the riots of the 51 wharfies strike and the Battle of Manners St.
Lastly: the big question – Do we have a feral underclass intent on stealing? Well, if our nationally most-loved drama Outrageous Fortune is anything to go by, we venerate people like that. Maximus, I don’t think we would have a riot of the same proportions (relatively speaking). First thing is that although NZ has a consumer/credit card culture that is right up there, it is nothing compared to England’s. Speaking of venerate, they bow down at the altar of Blackberry/iPhone; worship at the Temples of Adidas, Nike, Reebok, Lacoste, Puma, Lonsdale and K-Swiss et al; and make sacrifices to the High Gods – TK Maxx, Lilywhites, TopShop and Argos. It took a couple of days for the stiff upper lip to get into action, but once it did the rioters started to disperse (well, that and 16,000 bobbies). In NZ I would (like to) think that people would take that even further, quicker. In essence, there is a greater ratio of sensible citizens who have more moral fibre than the opportunist scumbags out there who would take advantage of a one-off incident. On top of this, the average NZer would have no sympathy for a person killed who was even somewhat related to dubious activities, like our friend Mark Duggan, hence no outrage – faux or otherwise – to incite said riot. Actually I think population density likely has a role. More people, more opportunity for things to happen. We are a bit more dispersed. Our riots tend to involve wheel spinning subarus in convoy. Chch earthquake proved we have scumbags in world class. Perhaps he is referring to the scumbags who stole diesel generators that were powering phone exchanges? Or the fake insurance/EQC inspectors? Then why (in London) were people stealing flatscreen TVs and trainers but not food? very low IQ ? They thought that flatscreen TVs were crispy rice wafers perhaps?